Lisa Jackson, the former Environmental Protection Agency administrator who used a fake name and private email address to conduct official business, is now criticizing the Trump administration's EPA for being "non-transparent." Jackson, who is now the vice president of environment, policy, and social initiatives at Apple, criticized EPA administrator Scott Pruitt at a tech event on Tuesday in San Francisco. "The EPA hasn't changed. There is a leadership change, which is beyond politics, in my mind," Jackson said. "EPA has been run by Democrats, and by Republicans, but it's never in its history—and it's 40 plus years old—been run by someone who seems to be determined to do the one thing that could destroy its credibility, which is make it non-transparent." "Every EPA administrator has committed to trying to regulate transparently, and we don't have that commitment anymore," she said. "So, it's not the EPA, it's that the leadership has decided to move away from the transparency that assures people that their health and their communities come first, rather than somebody else's bottom line." Jackson led the EPA from 2009 until 2013. Under her leadership she used the fictional alias "Richard Windsor" to conduct agency business. The EPA even awarded "Richard Windsor," who was named after Jackson's family dog, with technology training certificates, including a certificate showing the fake person to be a "scholar of ethical behavior." Jackson's use of the alias and multiple email addresses raised questions that she was trying to avoid open records and transparency laws. Jackson also used a private email account to talk to lobbyists. The "Richard Windsor" scandal and the EPA receiving a failing grade on transparency from the Center for Effective Government led the Guardian to ask: "Is the EPA having a transparency crisis?" Jackson is now responsible for "addressing climate change" at Apple. The company's CEO Tim Cook strongly criticized President Donald Trump's decision to leave the Paris climate change agreement. 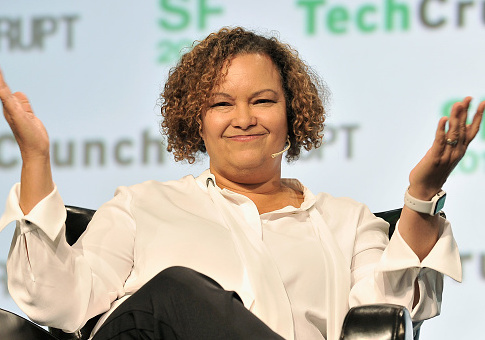 Jackson's comments came at a "Disrupt San Francisco" event, which was hosted by TechCrunch. She also compared the EPA's work to that of national defense work at the Pentagon. "The Environmental Protection Agency is, to me, is an extension of the Department of Defense," she said. "It protects something really important in this country, which is a huge competitive advantage, which is we have clean air to breathe, and water to drink, and land to develop and build on, and recreate in." This entry was posted in Issues and tagged EPA, Lisa Jackson, Richard Windsor, Transparency. Bookmark the permalink.